Elon Musk is leaving the board of the non-profit organisation OpenAI. 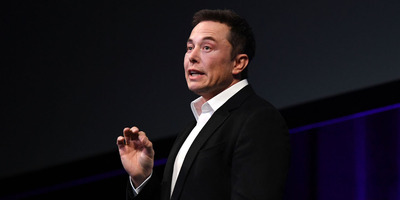 Musk helped found the group, which examines the safety and societal issues of artificial intelligence technology, and he contributed towards its $US1 billion in funding. The entrepreneur, who is outspoken about the potential dangers of AI, is leaving to avoid conflicts of interest with his work at Tesla. Elon Musk is stepping down from the board of a $US1 billion AI organisation he helped create. On Tuesday, OpenAI announced that the billionaire entrepreneur is exiting his role at the company to avoid potential conflicts of interest with his work at Tesla. Founded in 2015 with $US1 billion in funding, OpenAI is a non-profit organisation focused on research about artificial intelligence technology and on examining its potential social implications and safety risks. It has developed AI capable of playing video games like “Dota 2,” and earlier this week co-authored a report looking at how artificial intelligence technology could be abused for malicious purposes, from drone attacks to fraudulent videos. In a blog post published Tuesday, OpenAI said Musk was leaving its board, but will continue to provide funding and advice. “As Tesla continues to become more focused on AI, this will eliminate a potential future conflict for Elon,” the post said. Musk’s electric car company is investing in AI technology as it pushes to develop self-driving car technology.